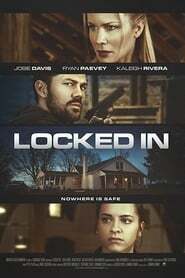 A convicted robber (lead villain) loses his wife and child after being sentenced to prison. While away he meets another crook who mentions a “job” he worked with a fellow thief that ended in a monumental score but also jail time for the pair. The second man hid the money at the home of his wife and teen-aged daughter before being sent to a separate facility than the first man including the lead villain. When he learns of the money’s whereabouts he escapes prison to head for the family’s farmhouse. When he arrives he masks his identity to the family, gaining their trust. But soon after they find the true reason behind his arrival. The story then turns into a fight for survival with the mother and daughter against the escaped prisoner.